When I was a kid, I loved solving jigsaw puzzles. The excitement of seeing an image of an animal or a forest come to life, one piece at a time, gave me immense satisfaction. Sadly, there were limited options then and you can only solve a puzzle so many times before it loses the charm. You need a new puzzle. Plus, we live in the digital age which means there has to be an app for everything. 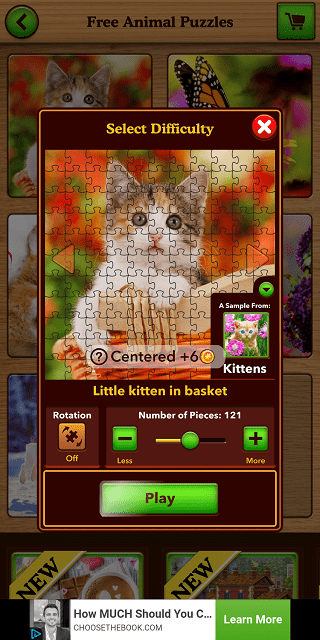 Thankfully, there are a lot of apps for jigsaw puzzles for both Android and iOS platforms. While my days of solving them are pretty much over, your kids can have a lot of fun solving them. It is also a great way to keep them busy and engaged while you are driving or trying to work while keeping an eye on them. 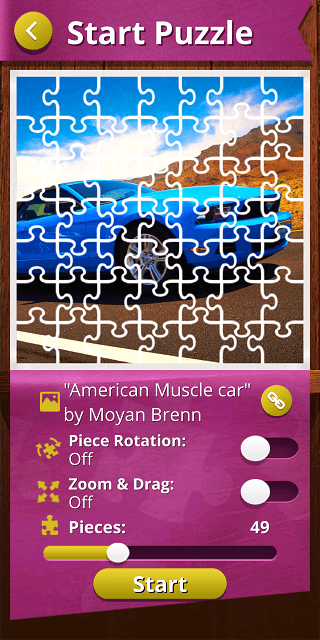 Here are some of the best jigsaw puzzle apps for Android and iOS smartphones. Jigsaw Puzzles Epic is a cool jigsaw game app for both Android and iOS users with over 8000 puzzles to solve. That should keep you busy for some time. 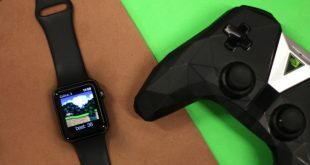 Instead of choosing random scenarios and objects, the app takes a cue from the real world and offers real-world places and landscapes. This way, your kid will learn a thing or two. There are different levels of difficulty and some jigsaws have more than 600 pieces for you to put together. The bigger the jigsaw puzzle the more fun and engaging it is. There are categories like animals, cities, and so on. The app is free to download and use but not all puzzles are free. You can buy packs starting $0.99. The names are similar however the puzzles are not. Epic Jigsaw Puzzles is also available on both Android and iOS platforms. Where Epic Jigsaw differs is the use of high-quality HD images as a source for jigsaw images. This makes the game play experience more enjoyable as you look at the end result in satisfaction. There are about 2000 puzzles to solve and 5 different difficulty levels with up to 500 pieces per puzzle. For some reason, when you install the app, it asks for access to phone calls and contact access. I obviously denied it and the app still works fine. So keep that in mind. Privacy first. The app is free to download but there are no ads whatsoever. You can buy additional puzzle packs which start at $2.99 and goes up to $10.99. Yes, a bit on the expensive side but the sceneries are good and the jigsaws are fun to solve. 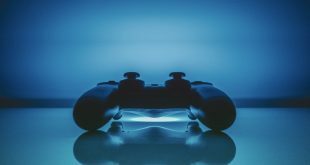 Jigsaw Puzzles made the list because there are about 4 ways to solve jigsaw puzzles as you will discover with this app. You can slide the pieces, switch them or rotate them. This increases the difficulty level in new ways. Also, for each jigsaw puzzle, you can choose the number of pieces before the game begins. This will give you more control. There are about 5,000 puzzles with up to 1600 pieces to solve with new puzzles being added every day. 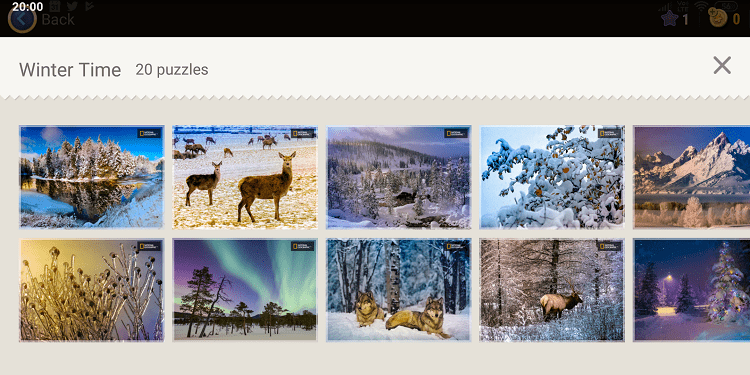 While the app is free to download and use, not all jigsaw puzzle packs are free. You can buy them separately which starts at $0.99. 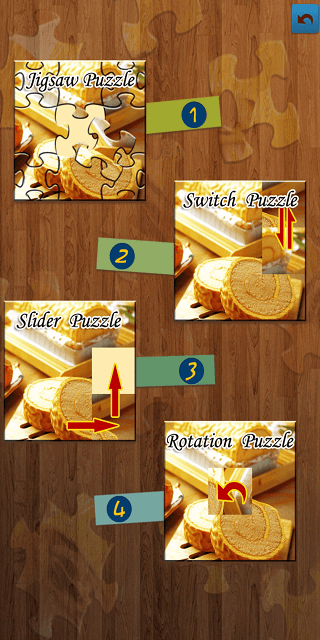 Jigsaw Puzzle, I am getting tired of these generic names, is a jigsaw puzzle game for Android and iOS with a twist. The usual features like choosing the number of pieces, daily puzzle, and different categories are all there. One interesting category is paintings and other artifacts from famous artists. A good way to learn art, don’t you think. What’s more? Got a photo you love? You can now use your own photos to create jigsaw puzzles. There are more than 20,000 jigsaw puzzles to choose from and you can set a number of pieces up to 400. A bit less compared to what we saw earlier but each app has something unique to offer. Not sure why the developer needs permission to use my device location so be careful of that. Jigsaw Puzzle is ad-supported but you can remove them with an in-app purchase and buy additional puzzle theme packs starting $3.99. Ravensburger is a puzzle company based out of Germany and they have been around for over a hundred years. That’s right. They have been developing puzzles longer than anyone else I know. You can choose puzzle pieces from 20 to 500 but that’s not all. You can control different aspects like let the game sort pieces for you around the border or edges only or sort them by color. 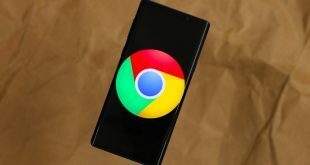 There are over 2000 jigsaw puzzles to solve and the developers say they have tested the app with over 100 enthusiasts before releasing it on App Store and Play Store. There are no ads however not all puzzle packs are free. You can buy additional packs that begin at $1.99. The number of images for jigsaw puzzles is limited, currently hovering around 2400, on this app but you can always upload your own images and use them as jigsaw puzzles, Again, this is a cool feature and there is really no limit to how many puzzles you can solve using this method. The number of pieces can be changed from 9 to 1300 which should be enough for most people. The app is free to download but ad-supported but you can remove them for $5.99. 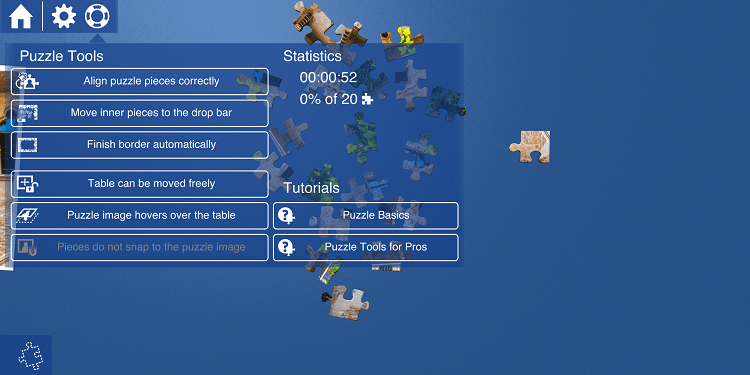 Adding your own images to create puzzles is completely free. Magic Jigsaw Puzzles app comes with over 20,000 HD images that you can solve in your free time. 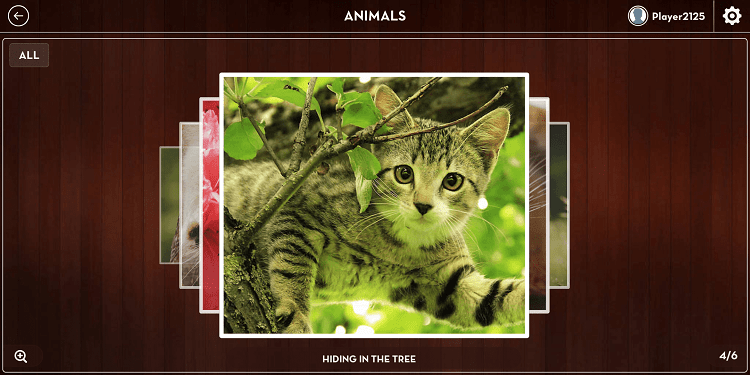 Why you should consider this jigsaw puzzle app over others? Because the source of images is National Geographic Channel, Cartoon Network and so on. This makes them really fun to solve, especially if you or your kids love cartoons. The number of pieces a puzzle can be broken down in to has been set to 630 which is not the highest but still modest. Enough if you are using your smartphone, trust me. In a first, you can move more than one piece at the same time. Rotating pieces is also an option. Magic Jigsaw Puzzle app is ad-supported which can be removed with an in-app purchase. You can buy additional packs starting at $0.99. This particular jigsaw puzzle app is targeted towards kids so you will find images that have been used to be kids friendly. Think rainbows, unicorns and that kind of stuff. The collection is not so big. There is one pack included that contains about 30 images and you can buy more. There are about 1000 puzzles in total in the app. Kids’ Puzzles is only available for Apple smartphones and tablets at the moment. Some other categories include dragons, farming, pirates, and more. 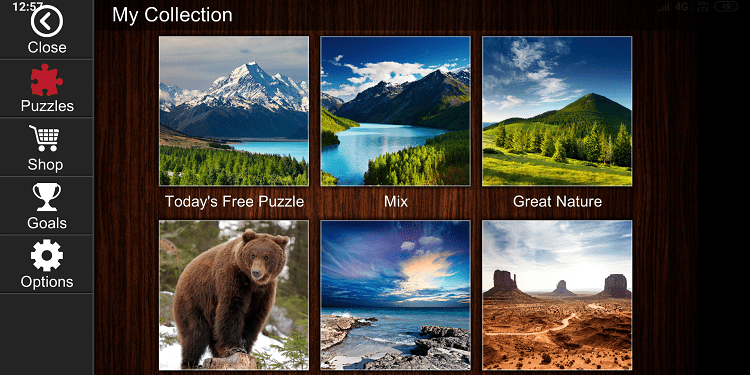 Buying additional jigsaw puzzle apps will cost you $0.99 each. There are no ads in the app. Number of puzzles are limited to a max of 7×7 to make it kid-friendly. 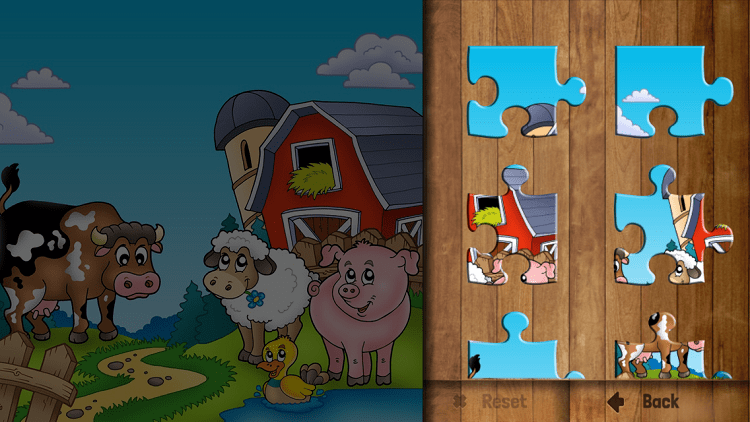 Kids Jigsaw Puzzle is another one for kids but this time, for Android users. Just like the app before it for iOS users’ kids, Kids Jigsaw Puzzle comes with easy and simple puzzles that will increase in difficulty as you proceed with the game. The images are kids-friendly with close to 150 puzzles. If you think that’s low, the app will let you add your own images to create puzzles. You can also save solved puzzles as your smartphone’s wallpaper which will boost your kid’s confidence and keep him engaged. 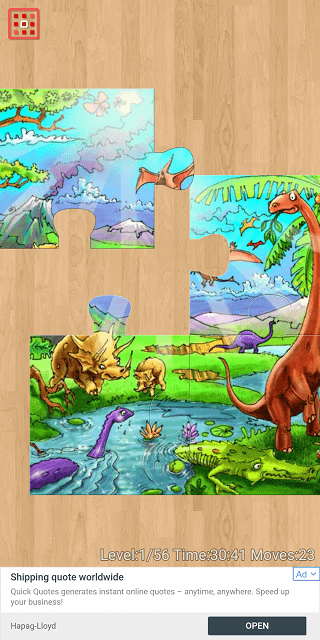 Kids Jigsaw Puzzles is completely free to use and is ad-supported. There are no in-app purchases whatsoever. There are quite a few jigsaw puzzle apps available in the market but I would recommend you to choose one that allows you to upload your own images. This way, the number and variety of jigsaw puzzles are only limited to your imagination and what the Internet library has to offer. If you have kids in the house, you should get Kids Jigsaw Puzzles for Android and Kids’ Puzzles for iOS respectively. Jigsaw Puzzles Epic, Jigsaw Puzzles, and Jigsaw Puzzles Real are all good apps in which you can upload your own collection of images to create new puzzles on the fly.